In official terms they are called major incidents, in colloquial terms – disasters. Whatever you call them, when people lose their lives while travelling on a train, aircraft or a passenger ship, it is a tragedy. Such incidents normally cause safety to be thrown in the spotlight and action is taken to improve standards. 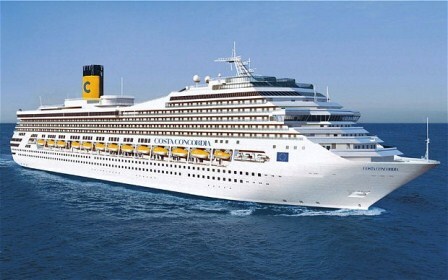 Three months ago the cruise ship Costa Concordia struck a rock off the western coast of Italy. Thirty people died and two are still missing. This week the EU outlined the measures it wants the cruise industry to take to prevent similar accidents happening in the future. As well as increasing enforcement of existing inspection and monitoring, the EU is developing extra safety legislation for cruise ships, smaller domestic ships and roll-on roll-off ferries. The EU is also conducting a technical research project, GOALDS (Goal Based Damaged Stability), into cruise ship stability, which will take a closer look at the designs of cruise ships and their survival probabilities following damage. GOALDS was started in 2009 and complete later this year. The EU will use its results to help form new guidance and legislation for the cruise ship industry. However it is often a challenge with major incidents, which happen so infrequently, that the spotlight on safety quickly melts away and the lessons learnt become difficult to sustain. Hopefully this will not be the case with the Costa Concordia, and in the future as engineers strive to improve the safety of vehicles, operational safety will also improve. Previous articleWhat will the legacy of the 1,000mph car be?